Built in 1901 by Hurst Nelson for the Hull Corporation, 96 originally ran as an open top double deck car. It was later modified to include a roof of the ‘Bellamy’ type, featuring open end balconies. The car was totally enclosed about 1930, as part of an experiment in single man operation, having platform doors fitted and bulkheads removed. 96 was cut down to single decker form in 1933 for use as a stores car and snow plough. The closure of Hull’s tram routes led to 96 being sold with a number of passenger cars to Leeds in 1942-45. There it ran as Stores Car number 6, until the closure of Leeds City Tramways in 1959. 96 was bought by a local enthusiast and stored on the Middleton Railway before being moved near to Wakefield and in 1974 back to Leeds. The Manchester Transport Museum Society later bought the car, restoring it as a single deck passenger car at Mode Wheel workshops in Salford. 96 has run at Heaton Park Tramway, Manchester, since 1988, and has seen a great deal of use, especially on wet days. During construction of track extensions, 96 was also used as a works car. In 1994 it visited the Manchester Metrolink depot at Queens Road for its wheels to be re-profiled, and was also on show at the Metrolink depot Open Day that year. 2008 saw 96 receiving an overhaul to its bodywork, truck and motors, emerging in the autumn in its austerity grey livery as Leeds Works Car 6. It is currently on an extended loan to Beamish over the summer, Beamish’s Oporto Tram 196 having travelled the other way for the duration of the exchange. 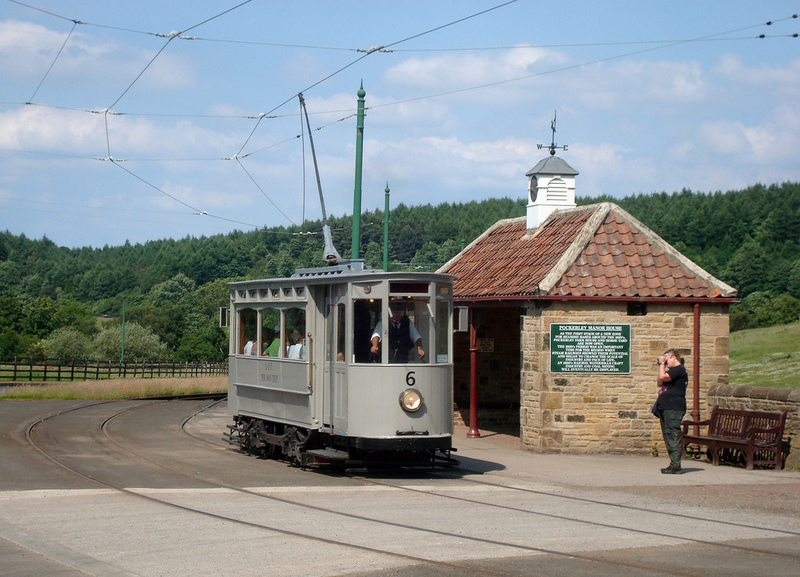 Click here to visit Heaton Park Tramway’s webpage for the tram.